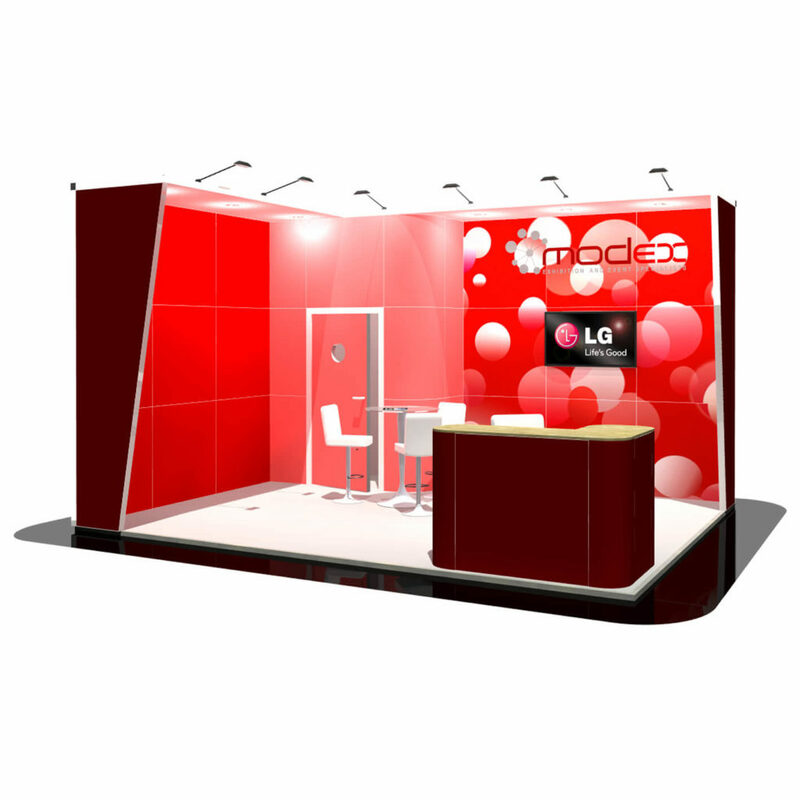 This 5 x 4 metre stand has angled side walls which create a semi private exhibition stand. It has an overhanging plinth which incorporates led spotlights for added impact. A neatly positioned store room in the back corner of the stand gives you plenty of storage space for products. At the front of the stand is a freestanding counter for you to talk to potential clients and set at the back of the stand there is a small meeting table for a more comfortable chat.